Foraging Israel- Wild Edibles of Israel: Schedule a Class Today! Are you looking for something fun to do with your extended family at a family event? Looking for an idea for a bat mitzva party? 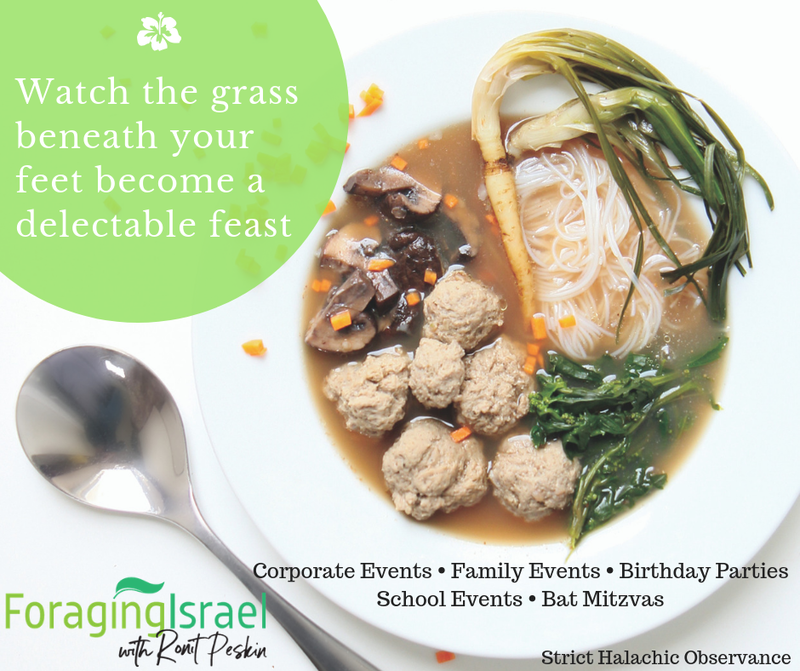 Planning a yom gibbush for your company? Foraging Israel offers many options for very reasonable cost for all these events. A flyer with details for each is in the works. To learn more, email rmpeskin@gmail.com or call 050-710-1791. If you didn't see our page on TripAdvisor, check it out now.